Roberts (thigh) will play in Sunday's game versus the Steelers. Analysis: Roberts' injury surfaced Saturday but it turned out not to be serious. The third-year pro holds little IDP value with just 55 tackles, one sack and four pass breakups through 13 games. Roberts has a thigh injury and is questionable for Sunday's game at Pittsburgh. Analysis: Roberts was added to the injury report Saturday, so the specifics and severity of the injury remain unclear. Albert McClellan is next up on the depth chart at middle linebacker, but he hasn't played more than one defensive snap since Week 3. 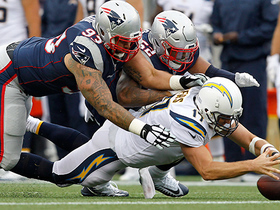 Roberts recorded six tackles (four solo), including a sack, in Sunday's loss to Tennessee. 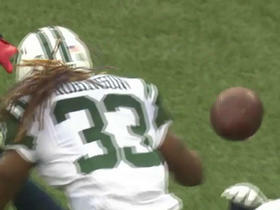 Analysis: Roberts' sack was his first of the season. He hasn't been a prolific pass rusher through his first few seasons, but he has shown he can provide some pass rush when called upon. The Patriots have a bye in Week 11 before taking on the Jets in Week 12. 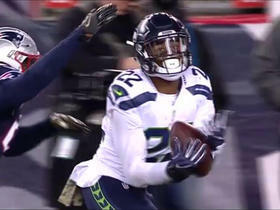 Roberts (groin) returned to Monday's game after a brief exit, Mike Reiss of ESPN.com reports. Analysis: A relatively brief exit from the contest served Roberts well, and it now seems as though he's good to go following the return to action. Roberts should re-assume his role at starting inside linebacker. Roberts is questionable to return to Monday's game against the Bills due to a groin injury. Analysis: Look for more updates to emerge as information becomes available. Should he be ruled out for the remainder of the contest, look for Nicholas Grigsby to see increased reps on defense. 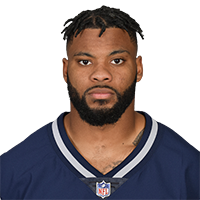 Roberts was forced out of Sunday's game against the Dolphins due to an undisclosed injury, Mike Reiss of ESPN.com reports. 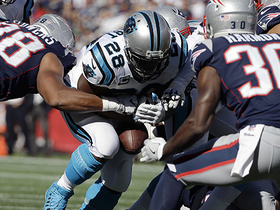 Analysis: Roberts exited Sunday's game midway through the second half and did not return. 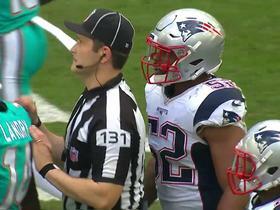 The starting linebacker was spotted, "walking gingerly" in the locker room after the contest, but the severity of Roberts' injury has yet to be disclosed. 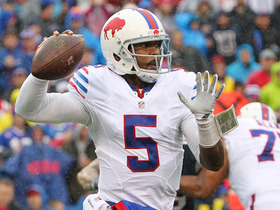 Expect an update on the third-year pro's health if he's unable to participate in practice during Week 5. 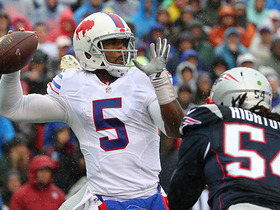 Roberts had four tackles (three solo) and two sacks against the Dolphins on Sunday. Analysis: The second-year pro had never posted a sack before Sunday, so this performance shouldn't be counted on. Roberts played just 34 of 61 possible defensive snaps, though, which makes it tough for him to be a weekly asset. 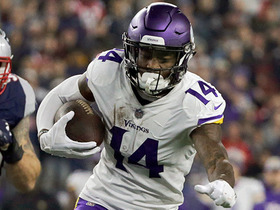 Minnesota Vikings wide receiver Stefon Diggs fights for yards on a 24-yard catch on a pass from his quarterback Kirk Cousins. 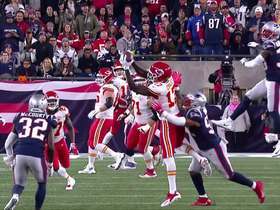 Kansas City Chiefs quarterback Patrick Mahomes makes impressive running throw for 19-yard gain. Los Angeles Chargers quarterback Philip Rivers loses the ball as it hits his leg but he is able to jump on top of it for a 20-yard loss. 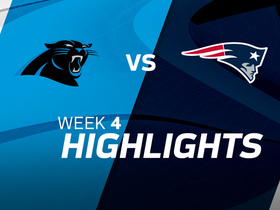 Watch as the Carolina Panthers take on the New England Patriots in Week 4. NFL Network's Mike Garafolo discusses how the New England Patriots plan to stop Pittsburgh Steelers running back Le'Veon Bell.